Are You Ready For A Home? Have you spent years renting homes or apartments and have grown tired of paying all that rent money to someone else? If so, then it might be your time to consider purchasing a home, and keeping that cash for yourself. However, you do need to ensure that you are prepared on more than one level before jumping into the equity market. There are many financial considerations to make note of before you start looking for a home. But, if you can arrange your finances into a sensible plan and secure a mortgage then this can ultimately be the most rewarding purchase you have ever made or will make. Finance plays a huge role in the decision to purchase your first home. This is to be expected as if you are purchasing your first home you will not likely have a few hundred thousand dollars sitting around and will have to find a mortgage of some sort. 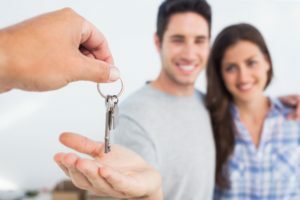 You should really make sure that you are prepared for the application for a mortgage as it will involve a thorough investigation of your past credit history. If there are any issues that you know of with your credit then you should take care of them before you apply for the mortgage. Sometimes this is a simple case of oversight, some things have been taken care of and not recorded as such, and sometimes there can be some debts that you will need to see to. Once these are taken care of, be sure to get a letter of release that you can show to the mortgage broker or company if necessary. If there are no issues with your credit then that will only make the process easier. There is no stronger tool in the home buying process than having all your financing in line before you start shopping. This is a great attraction for sellers as they want their homes to sell quickly and without incident or trouble in the money phase, a buyer with ready-to-go financing’s offers will hold greater favor with almost any seller. If you are mindful of these things then when the time comes to make your offer, the whole affair will go much more smoothly and you will be able to dedicate your time to what is important. How to decorate your new home.